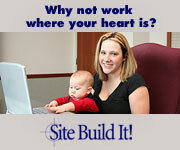 Is Working and Breastfeeding Possible? • A good breast pump- Because having a good breastpump makes all the difference in the world. • Some breastfeeding clothes- Breastfeeding clothes aren’t necessary, but they sure do make it a lot easier when you’re at work pumping. • Somewhere to pump and store your milk- If you don’t have anywhere to pump and store your milk, then you really can’t pump can you? When I was in the military, I was lucky enough to have somewhere to pump while working and breastfeeding. It was in an area where we took showers and changed clothes, with plenty of sitting room and plugs. So when I took breaks, about every 3 hours, I had somewhere to go and plug my breast pump in and pump in private. I also had somewhere to store my milk after pumping because we had a small refrigerator in our work space. But after I got out of the military and started working a “regular” job and going to the local university, I wasn’t so lucky. That’s when dedication and commitment had to kick in, and in high gear! • Dedication and Commitment- While working and then later quitting and going to the local university, I had nowhere to pump my milk or store it. I could have easily given up and fed my baby formula, but I was dedicated and committed to giving my babies breast milk only. (By this time I was on my second and third child) So I found a way to do it. Nowhere to pump. I pumped in my car using batteries instead of a plug. Nowhere to store it. I stored it in a cooler, which most breast pumps come with anyway, and left it in the car. In the winter I didn’t need a cooler, I just left it in the car. I also pumped one breast at a time while driving home. Of course you don’t have to do that, but the point I’m making is, find a way to do what it is you want to do, which is to feed your baby your milk. Don’t think that working and breastfeeding is impossible. If you work and don’t make your own hours, talk to your employer about it and see if they can accommodate you. Know the breastfeeding laws in your state. Try to pump at least 2-3 times when you’re at work. Don’t worry about the amount of milk you get each time. Those little drops of milk add up fast! If you go to school and still want your baby to drink your milk, pump whenever you get a chance. Pump on the other breast while your baby is nursing in order to store more milk. If you don’t have a vehicle to sit in and pump or somewhere in your work area, find somewhere to sit outside and do it. You can cover up. It may feel uncomfortable at first, but if you stay focused as to why you’re doing it in the first place, to feed your baby, it will become less uncomfortable. And if you have absolutely nowhere to go, do it in a bathroom. I know this sounds yucky for some people, but your milk doesn’t have to touch anything dirty. Get your milk to your baby by any means necessary.